Christ crosses them over to salvation, and Michael (the split water) stands firm – stands up for Christ and Yahweh’s people. Michael has the courage of a lion. His courage stems from his position to Yahweh before he became the Christ. Only Michael can be fully trusted by Yahweh to vindicate Her name and lead the holy angelic forces in destruction of Satan’s children. Christ cannot be seated at the throne and act as a warrior unless he s split to function in both positions. Christ gives the drink of life, and Michael gives the drink of death. Both have cups that are filled with drink that is opposite of one another. Divided to perform two important tasks. Christ is the Savior, and Michael is his warrior half who lead the battle in cleansing Heaven, just as Yahweh is the Father and a warrior, and also is Israel (Yahweh’s female side) Israel the Mother. 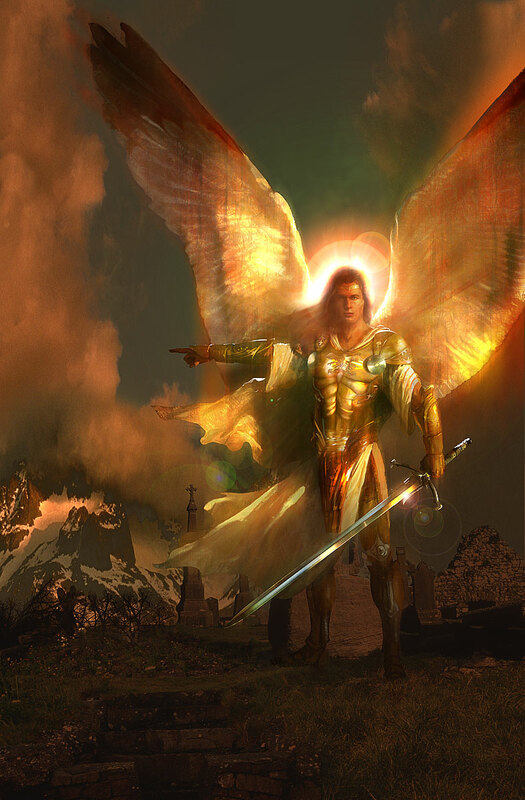 This entry was posted in Archangel Michael, Christ Jesus and tagged Archangel Michael, Christ Jesus, Michael the Archangel. Bookmark the permalink.